Liam Frost, Déjà Vega, Jo Rose and Nev Cottee will all be performing as part of the third Kieran Fest, which takes place at Chorlton Irish Club on Saturday 5th September. 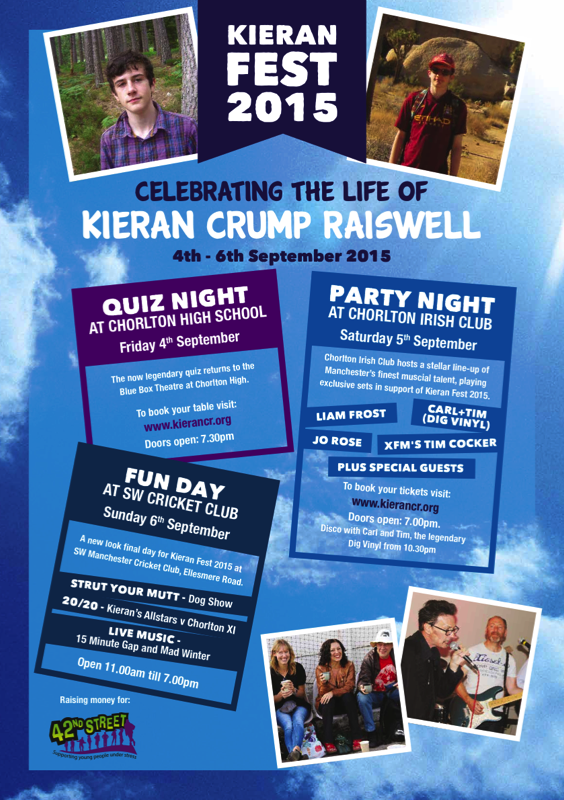 Kieran Fest is a very special 3-day event to honour the memory of teenager, Kieran Crump Raiswell and is also a fundraiser for 42nd Street ~ the Manchester Charity that offers support services to young people under stress. Kieran Fest 2015 will be a weekend of events, starting with a big quiz night held at Chorlton High School's Blue Box Theatre on Friday 4th September; a special gig night on Saturday 5th September; and a Family Fun Day with stalls, live music, sport...held at South Manchester Cricket Club on Sunday 6th September. The party night features a superb line-up of bands and artists, hosted by XFM Breakfast Show presenter, Tim Cocker and followed by DJs Carl & Tim (Dig Vinyl) until 1am. 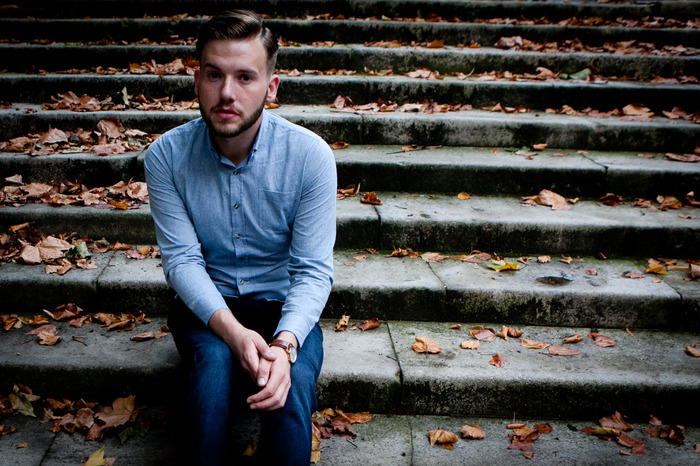 Tickets for Kieran Fest are £10 (adults); £5 (concessions) & Under 16s in for free. Doors 7.00pm. Bands/artists 8-10.30pm. DJs 10.30pm-late. All money raised will go directly to 42nd Street. (Everyone involved with Kieran Fest is performing/giving their time for free).